The Oberoi New Delhi combines the contemporary luxury of a world-class hotel with a spirit of tradition that fits with the spirit of the city. The Oberoi, New Delhi is considered as a pioneer amongst hotels in India as it was the first hotel to offer 24 hour butler service. This hotel is one of the most elegant places to stay in the city with exquisite interiors, fine cuisine and impeccable service. 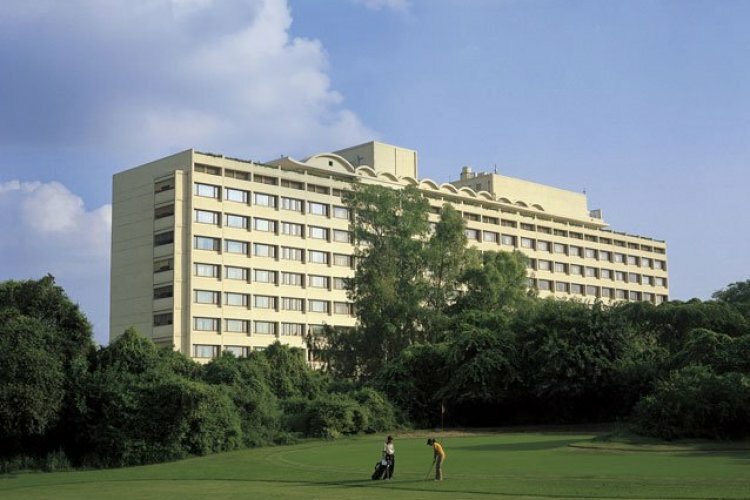 The Oberoi New Delhi offers a choice of accommodation ranging from Deluxe rooms to luxurious Suites and each of the rooms includes an electronic safe, mini-bar and Wi-Fi internet access. Guests have access to a personalised butler service, a choice of international and financial newspapers and in room TV as well as a DVD player and data port for internet and email connectivity. The Deluxe rooms offer an option of a king size bed and an extensive pillow menu to aid a restful night's sleep and if you choose to stay in a Duplex Suite you get two floors that overlook the New Delhi Golf Course and hotel swimming pool. The Duplex Suite includes a living room, bedroom, a lounge and dining room as well as a kitchenette and guest bathroom. Dining at the Oberoi New Delhi opens up a choice of fantastic cuisine and beautiful settings in which to enjoy your meal. Threesixty showcases the best of world cuisine with a Sushi station, Yakitori grill and Wood Fired oven for Mediterranean food as well as a contemporary Tandoor. Tavertino is located in the lobby level of the hotel and offers guests authentic Italian cuisine as well as an extensive wine list and cheese selection. The Taipan is an award winning Schezwan and Cantonese restaurant and the Oberoi Patisserie and Delicatessen is the perfect place for a cup of tea and pastry and you can enjoy premium quality teas and coffees from around the world and purchase them to enjoy at home too. The Oberoi New Delhi boasts a wonderful spa which will help revitalise you after a day exploring the city. The spa menu is extensive with a choice of massage therapies, indigenous rituals and Ayurvedic therapies as well as skin and nail care and treatments created especially for men.There is a large well equipped gym so you can keep up your fitness and there is an indoor swimming pool and steam room. The Oberoi New Delhi has all the luxuries and amenities you could need for a fantastic holiday and it is the perfect base to explore the many delights of the city of New Delhi.